Calculator that saves complete history of all your calculations. Is there a better alternative to Addism? Is Addism really the best app in Productivity category? Will Addism work good on macOS 10.13.4? 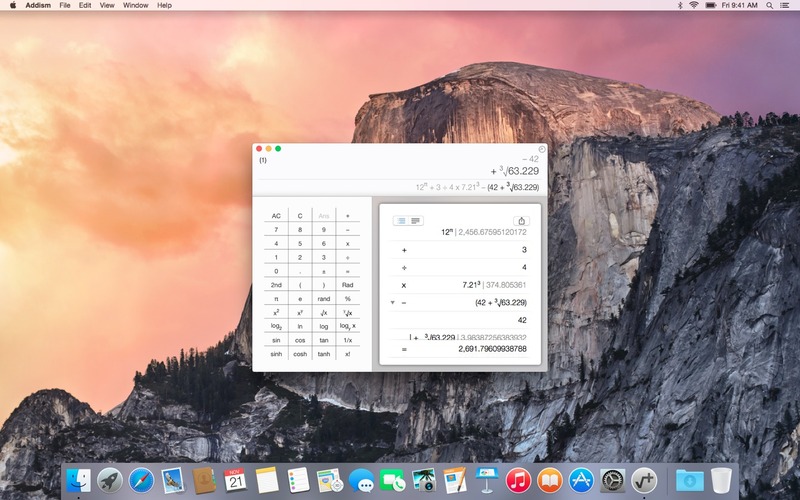 Addism is a great calculator for your Mac. It comes with a clean, intuitive user interface and lots of features. Addism displays the whole calculation and the result as you are typing, to provide you a complete overview over your calculation. You can use both mouse and your keyboard to calculate. Addism supports keyboard shortcuts for every function. Addism needs a review. Be the first to review this app and get the discussion started!